Toy Story 2 Adventure Map 1.12.2/1.11.2 for Minecraft is an adventure/puzzle map created by PitchBlackPL. You are Buzz Lightyear in this map and your mission is to solve all the quests in each room. 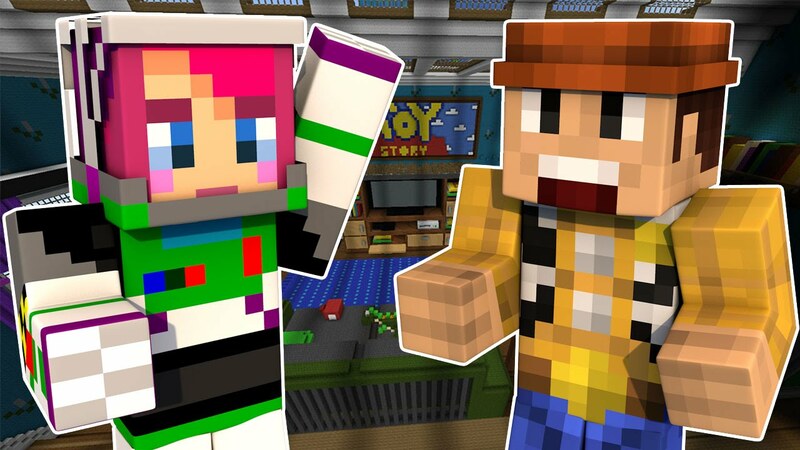 This map has been built exactly as the house in the original movie, Toy Story 2. Download from the link below and try it now! Play on Easy difficulty or higher. This map is for an unspecified number of players, but ultimately built for 2-4 players. Download the resource pack from the link below, but do not extract it. Drag resource pack file which you have downloaded in step 3 into resourcepacks folder (or texturepacks folder in some old versions). Start Minecraft. Select Options…, then select Resource Packs…, and then click the triangle button on Imperium logo in Available resource packs section.